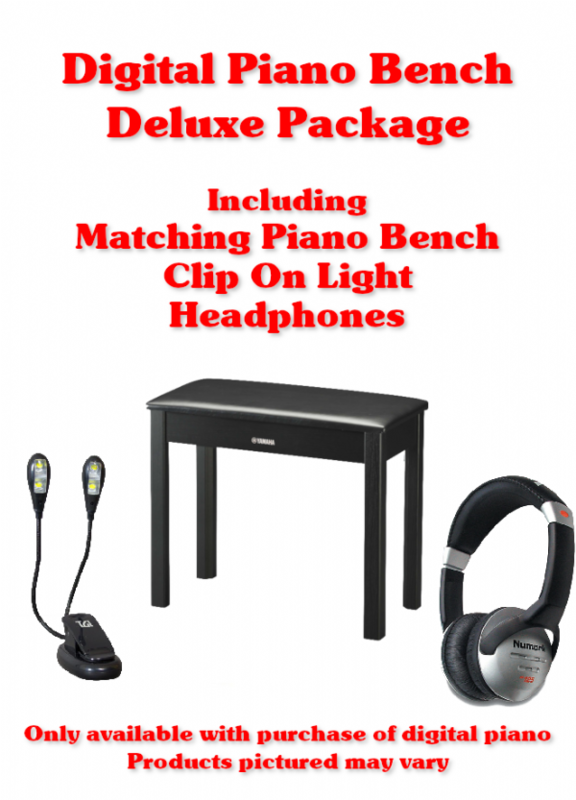 When you buy one of our cabinet style Digital Piano you have the option to purchase this matching bench offer. Individually these cost £105.00 and are perfect for anyone wanting a selection of great quality products to match their new digital piano. If you have any questions regarding this package feel free to contact the shop on 01604 250905 or info@stgilesmusic.co.uk. excludes Yamaha P45, P125 & Digital Keyboards. Occasionally the products shown in the picture will vary but will always be of the same value and quality.